A.S. (Augustus Stephen) Vogt. Choir conductor, administrator, educator, organist, pianist, b Washington, near Kitchener-Waterloo, Ont, of German and Swiss parents, 14 Aug 1861, d Toronto 17 Sep 1926; FRCO, honorary D MUS (Toronto) 1906. Achille Fortier. Composer, teacher, b St-Clet, near Montreal, 23 Oct 1864, d Viauville, Montreal, 19 Aug 1939; honorary D MUS (Montreal) 1926. Adam (Joseph) Schott. Bandmaster, b Mainz, Germany 1794, d Poona, India, 4 Aug 1864. This son of the founder of the German publishing house B. Schott's Söhne became a bandmaster in the British army. Adam Shortt, economist, historian (b at Kilworth, Canada W 24 Nov 1859; d at Ottawa 14 Jan 1931). Educated at Queen's U (BA 1883, MA 1885) and at Glasgow and Edinburgh, Shortt joined the staff at Queen's in 1886 and was professor of political science 1891-1908. 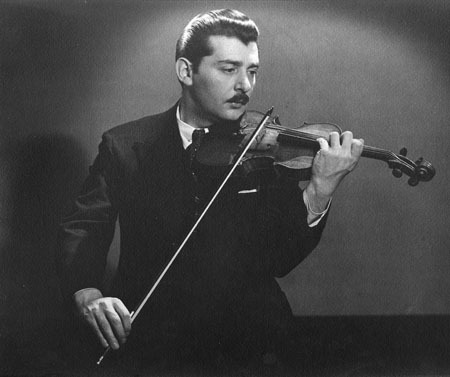 In 1944 Koldofsky became concertmaster of the Vancouver Symphony Orchestra and conductor of the Junior Symphony. In 1945 he moved to Los Angeles, where he played in the RKO studio and in chamber music recitals and established a local chapter of the International Society for Contemporary Music. Adolphe (Théophile) Hamel. Organist, pianist, choirmaster, businessman, b Quebec City 15 May 1842, d there November 1887. He studied violin, then piano and organ with Paul Letondal as part of the academic studies he began in Montreal and completed in Quebec City. Adélard-Joseph François-Arthur Boucher, publisher, importer, choirmaster, organist, conductor, writer, teacher, numismatist (born 28 June 1835 in Maskinongé, near Trois-Rivières, Lower Canada; died 16 November 1912 in Outremont, QC). Agnes Grossmann. Orchestral and choral conductor, pianist, b Vienna, 24 April 1944; piano performance diploma (Vienna Academy) 1968, honorary D HUM L (Mount St Vincent) 1991, honorary D Univ (Ottawa) 2004. Agnès Grossmann, orchestra and choir conductor (b at Vienna 24 Apr 1944). After studies in piano performance at the Vienna Academy (1968), Grossmann embarked on a career as a soloist in Europe and Japan. Al Baculis (Joseph George Alphonse Allan). Alto and tenor saxophonist, clarinetist, composer, arranger, teacher, b Montreal 21 Nov 1930, d Seminole, Florida 22 Jan 2007; L MUS clarinet (McGill) 1951. Al-Hajj Sayyd Abdul Al-Khabyyr (né Russell Linwood Thomas), soprano, alto and tenor saxophonist, clarinetist, flutist, composer (born 22 March 1935 in New York, New York; died 15 February 2017 in Montréal, QC). Alain Caron, composer, bassist and arranger (b at Saint-Éloi, Québec 5 May 1955). Known as a virtuoso on his instrument, he was part of the jazz-fusion group Uzeb from 1976 to 1990. Alain Gagnon. Composer, teacher, b Trois-Pistoles, Que, 22 May 1938; B MUS (Laval) 1963, L MUS composition (Laval) 1964. He began teaching himself the piano but continued 1951-8 with Father Philippe-Antoine Lavoie at the Rimouski Seminary. Lalonde, Alain. Composer, teacher, b Montreal 19 Apr 1951; B MUS piano (Montreal) 1971, premier prix analysis (CMM) 1977, deuxième prix composition (CMM) 1979, D MUS (Montreal) 1996. Alain Lamontagne. Harmonica player, composer, singer, storyteller, actor, b Verdun (Montreal) 14 Jul 1952. He began playing harmonica in his teens. Thibault, Alain. 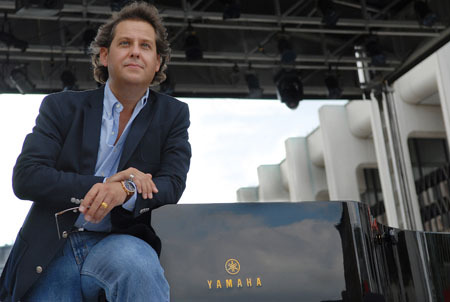 Composer, b Quebec City, 28 Dec 1956; B MUS composition (Montreal) 1983. He studied mainly at the University of Montreal and at Laval University and McGill University. Alain Trudel. Trombonist, conductor, composer, b Montreal 13 Jun 1966; premiers prix chamber music, trombone (CMM) 1985. Alain Trudel studied (1981-5) at the Conservatoire de musique du Québec with Joseph Zuskin.